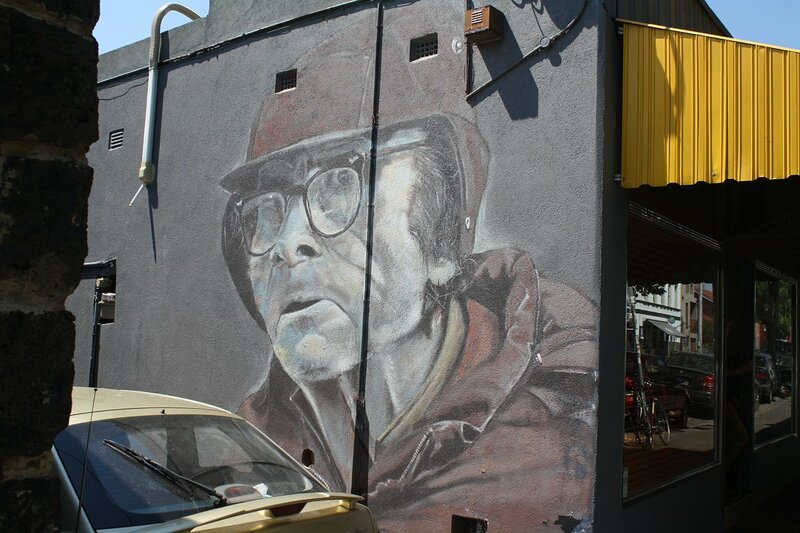 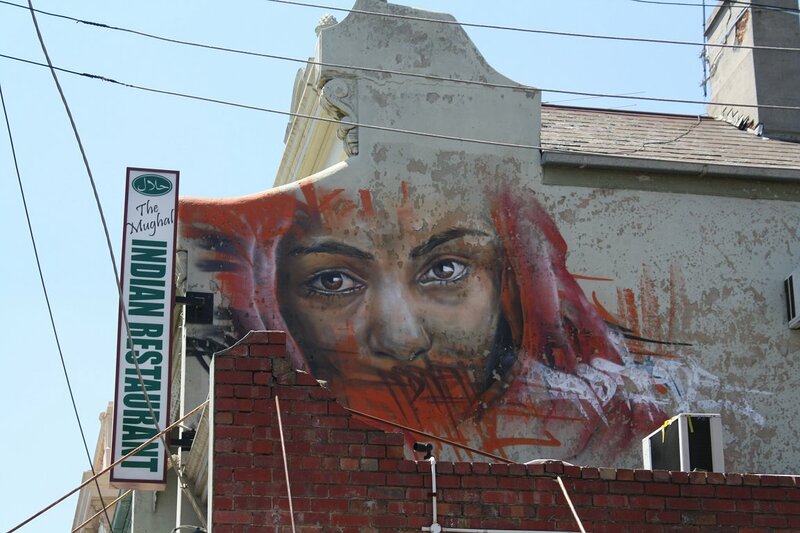 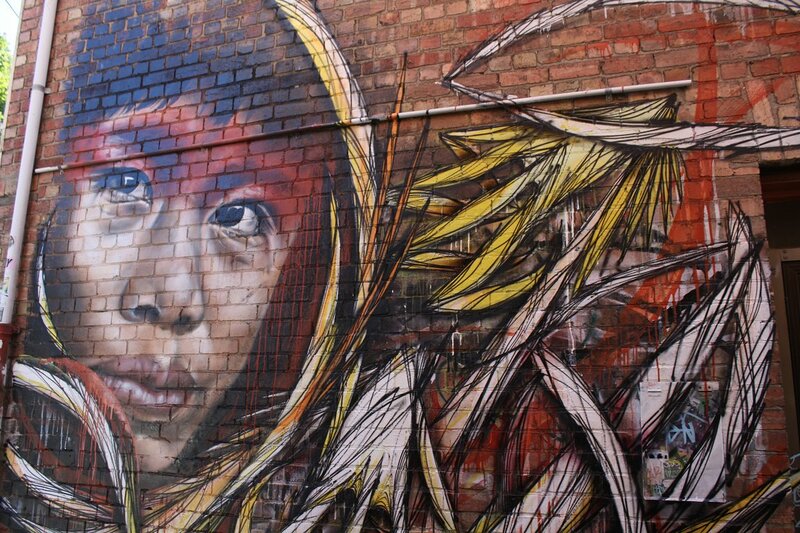 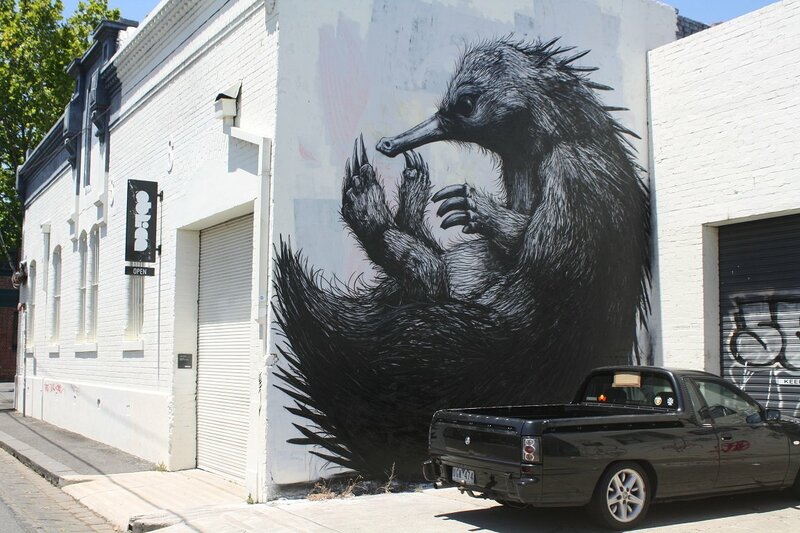 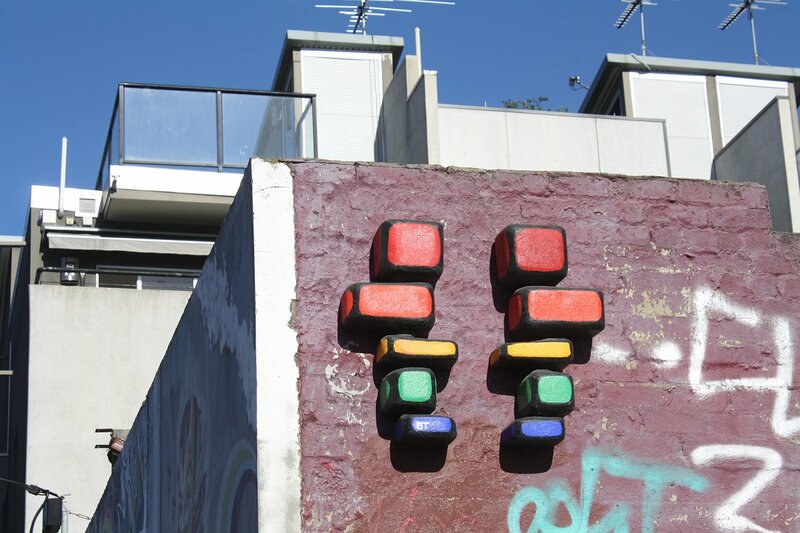 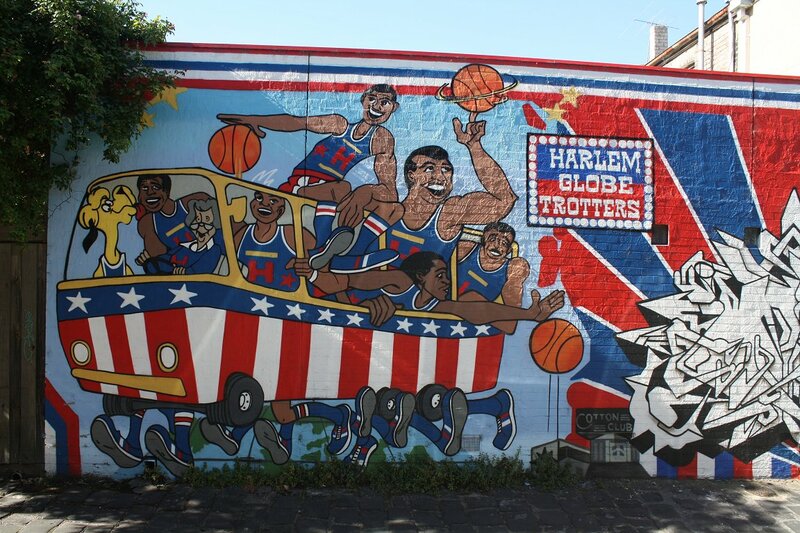 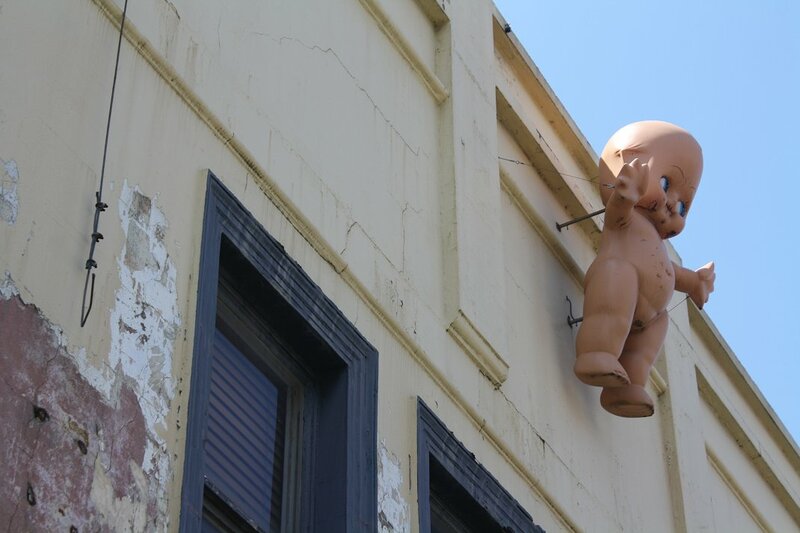 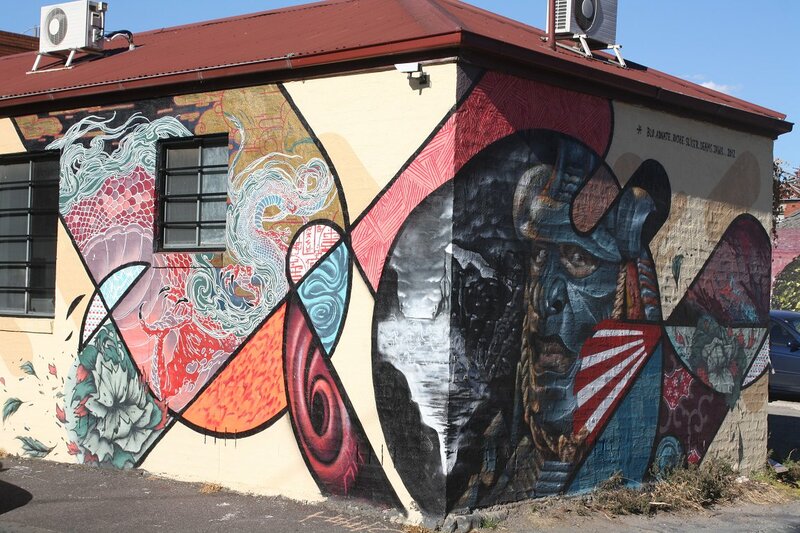 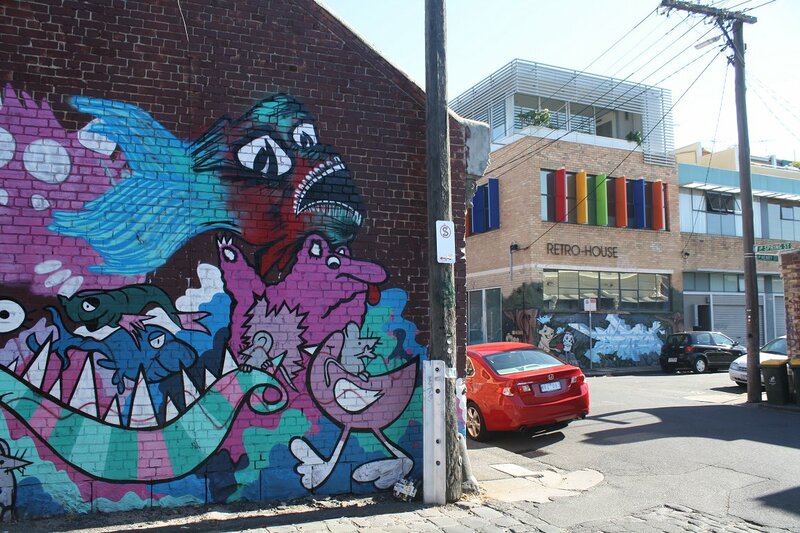 In previous months Urban Melbourne has covered at a variety of different locations throughout Melbourne in terms of street and/or urban art, yet today we look at the heavyweight that is Fitzroy. 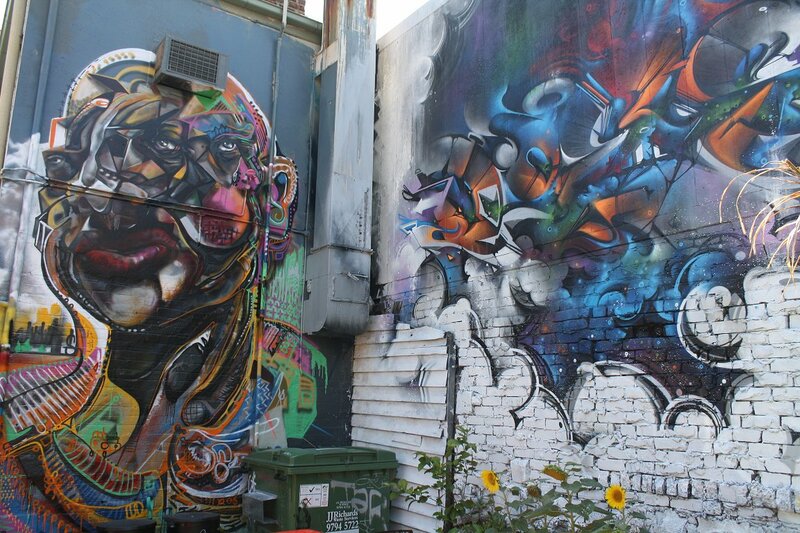 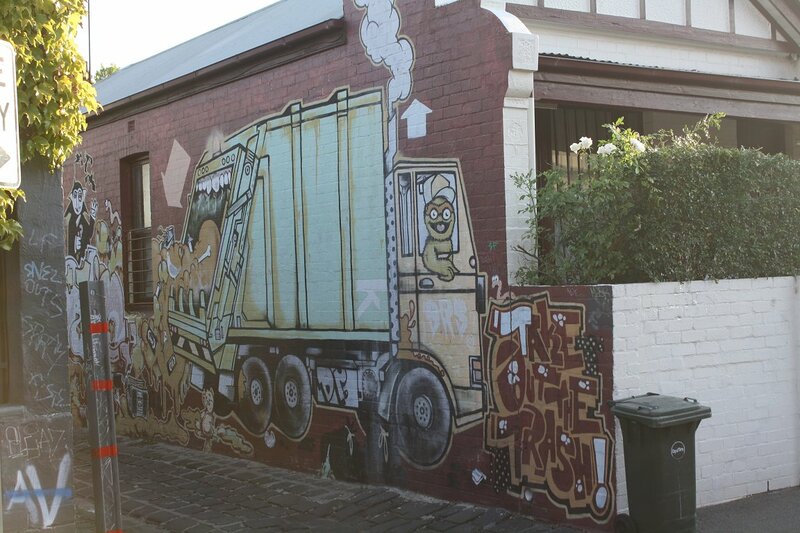 Well documented for its grit and character, the bohemian nature of Fitzroy gives rise to a strong urban art culture, something that is evident in just about every street, lane and alley through the area. 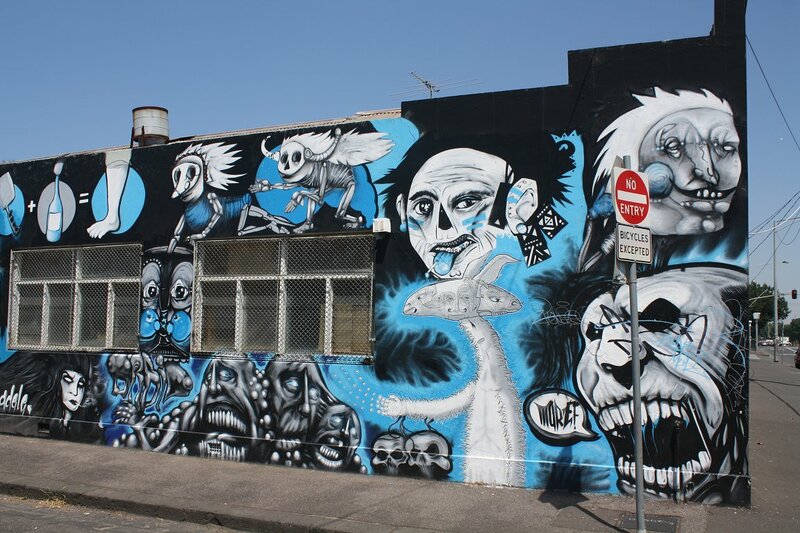 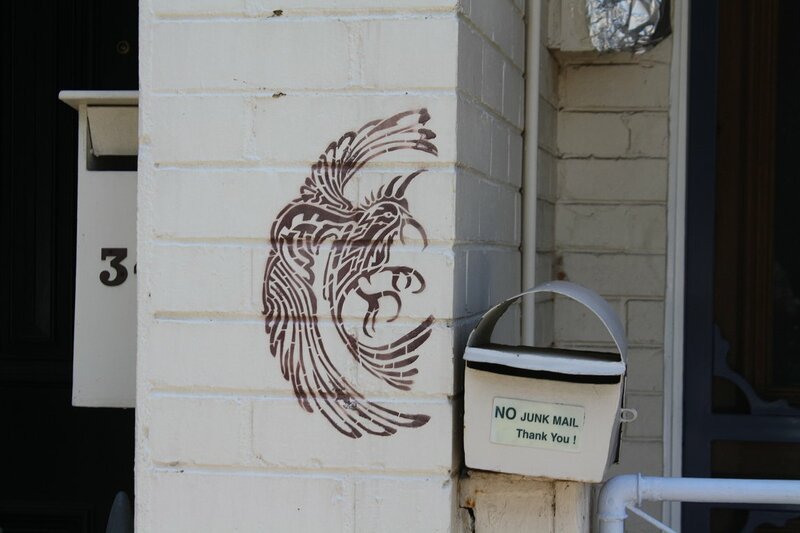 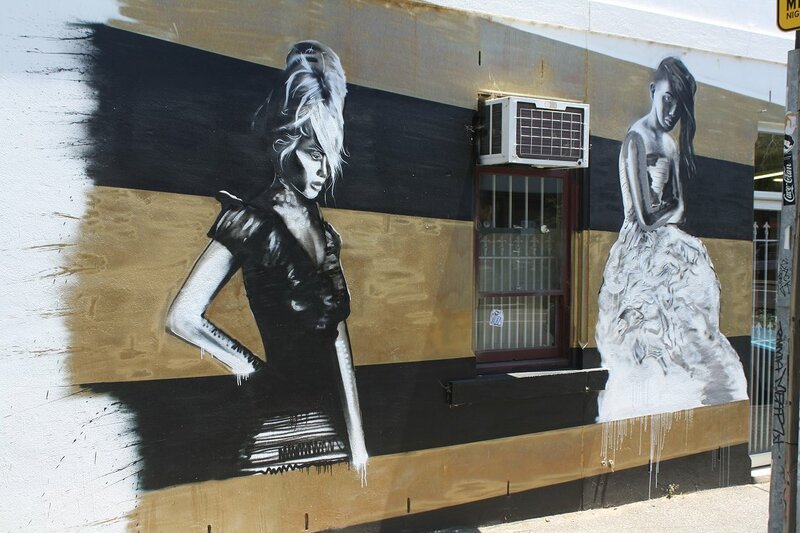 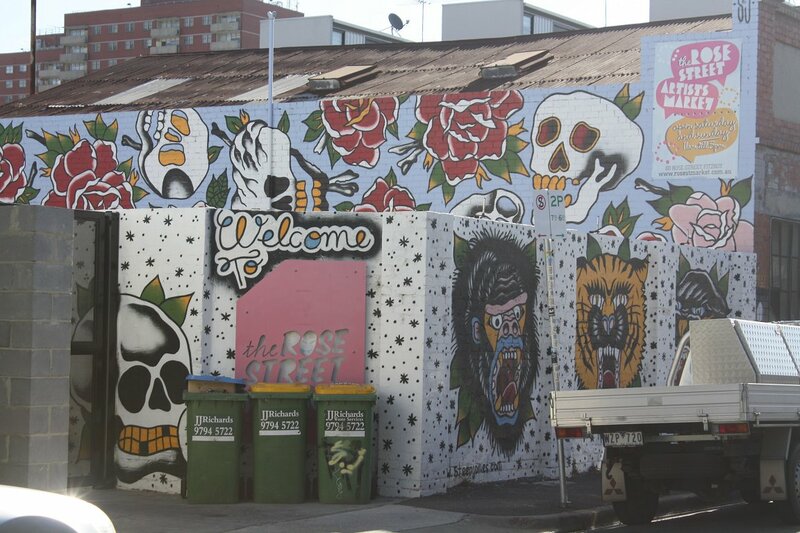 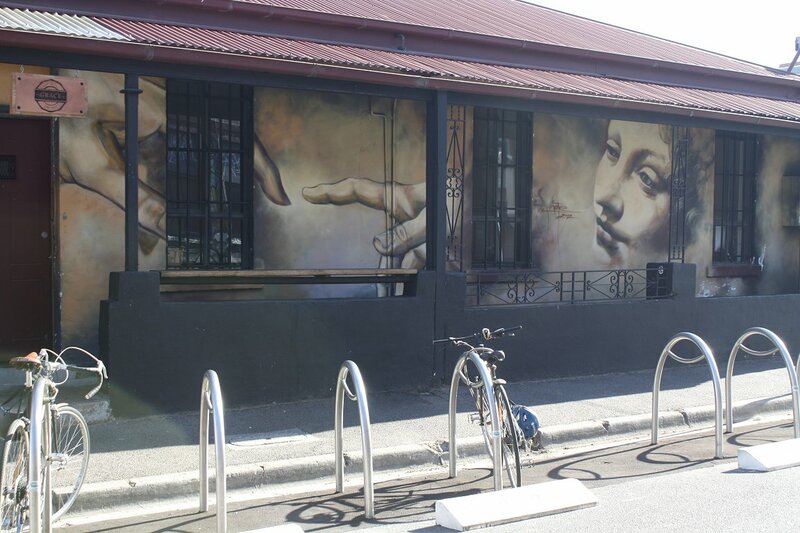 Starting at Johnston Street and Brunswick Street, ever expanding loops of the suburb will deliver a seemingly endless supply of murals, stencils, sculptures, statues and so on - an easy way to burn the best part of a day should you be inclined. 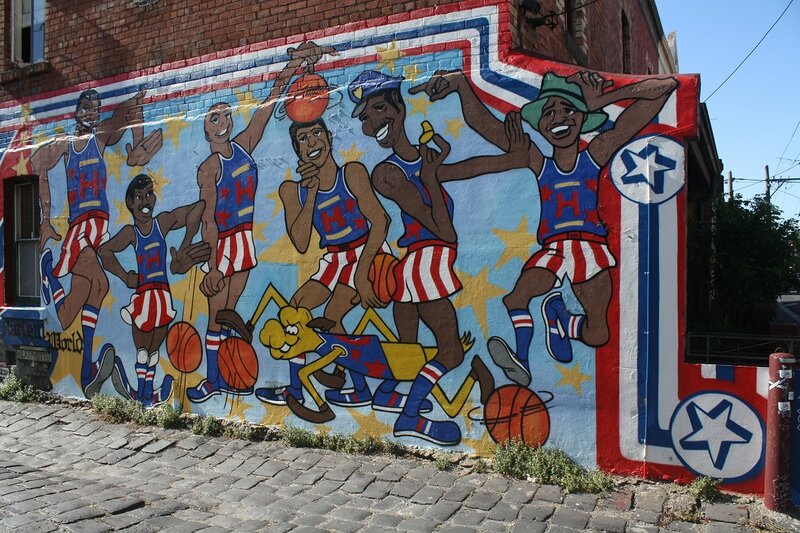 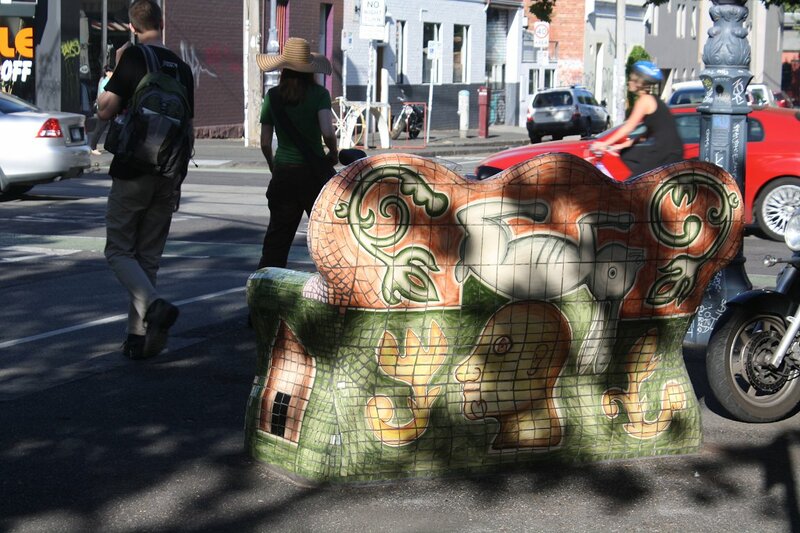 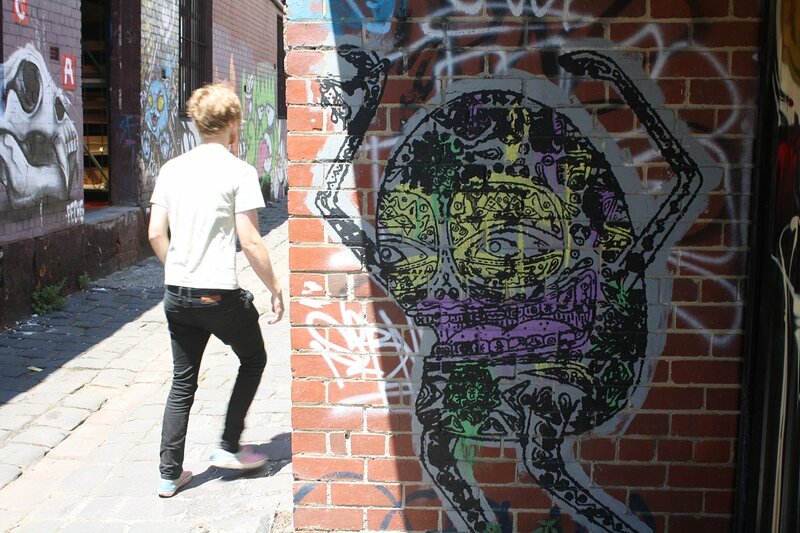 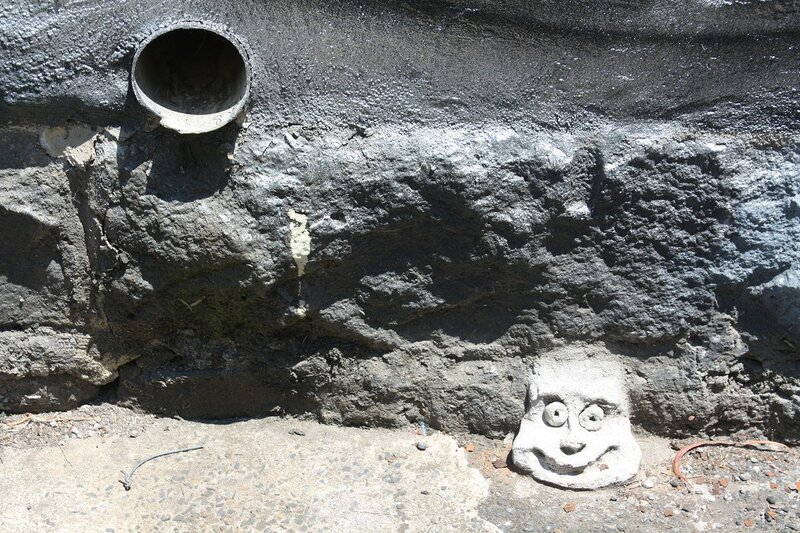 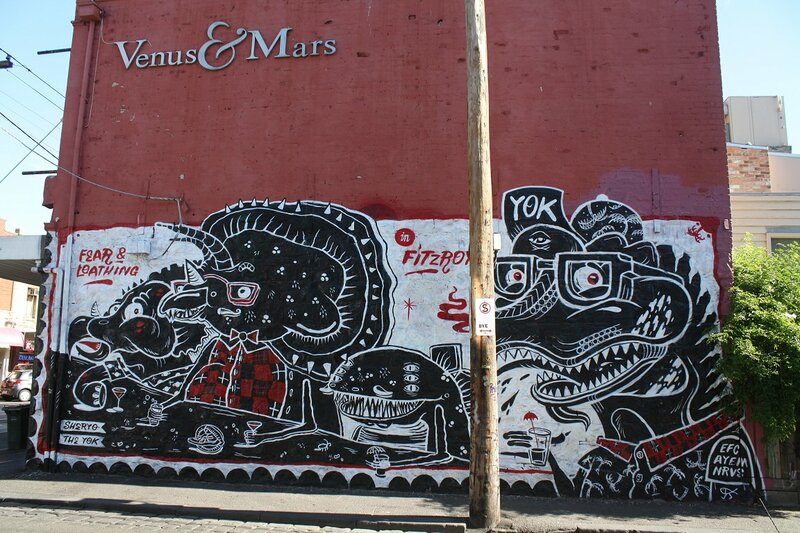 Yet for the quintessential Fitzroy artwork, you need not go past the eastern wall of Night Cat. 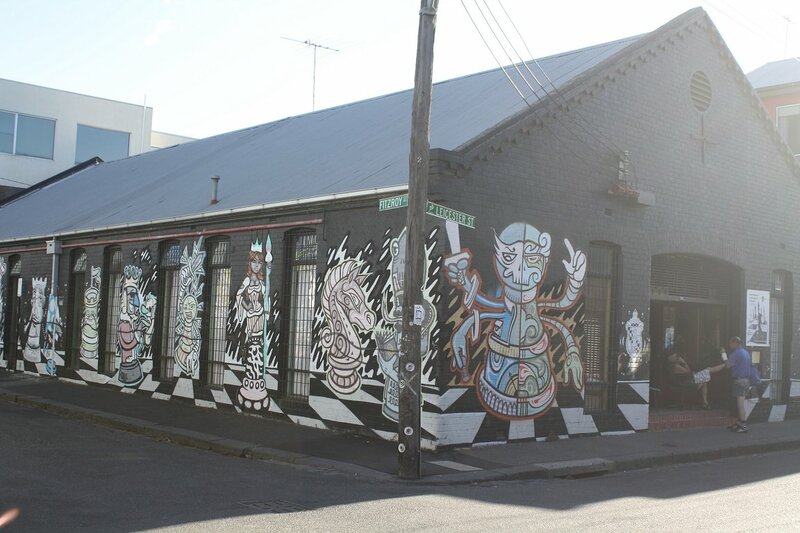 Titled 'Welcome to sunny Fitzroy' and the product of Everfresh Studio, the massive mural is now the areas most recognised image that encapsulates Fitzroy perfectly. 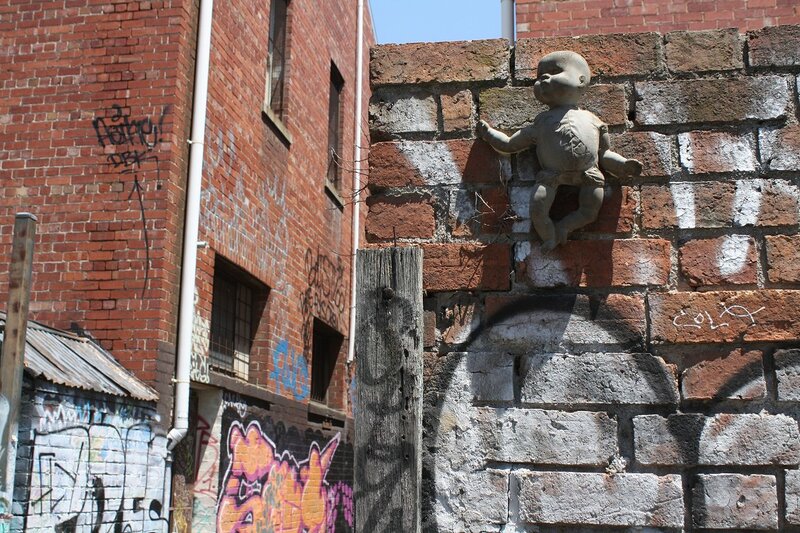 The images below were taken throughout 2013. 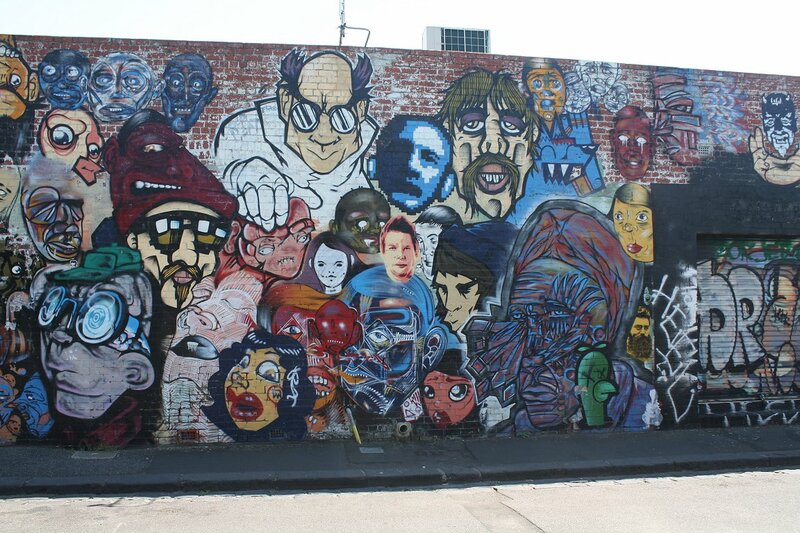 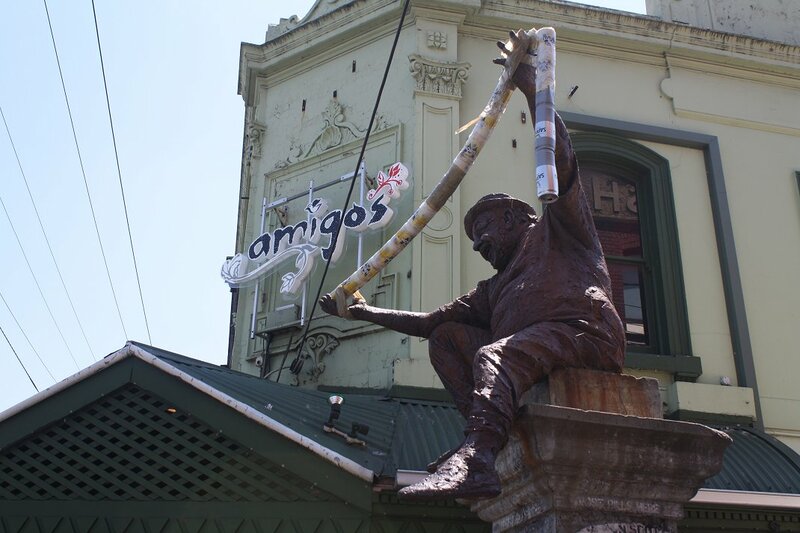 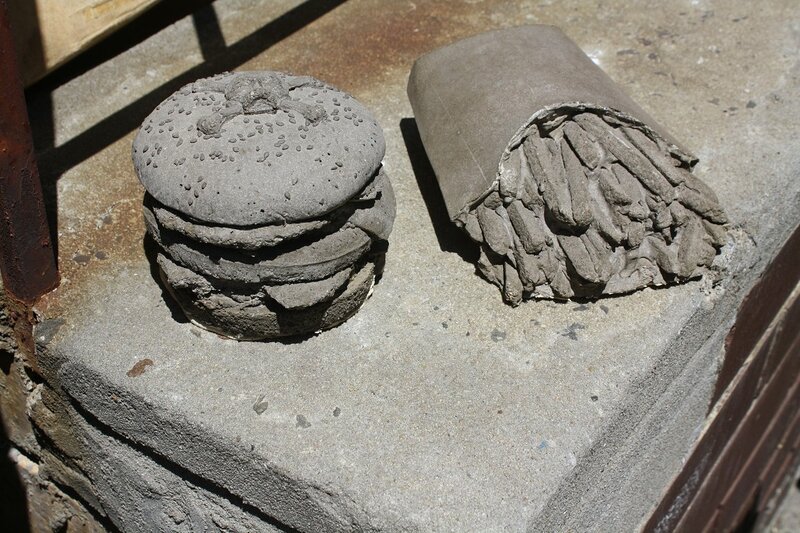 While some artwork will endure, many have now been replaced with newer pieces or simply faded into obscurity. 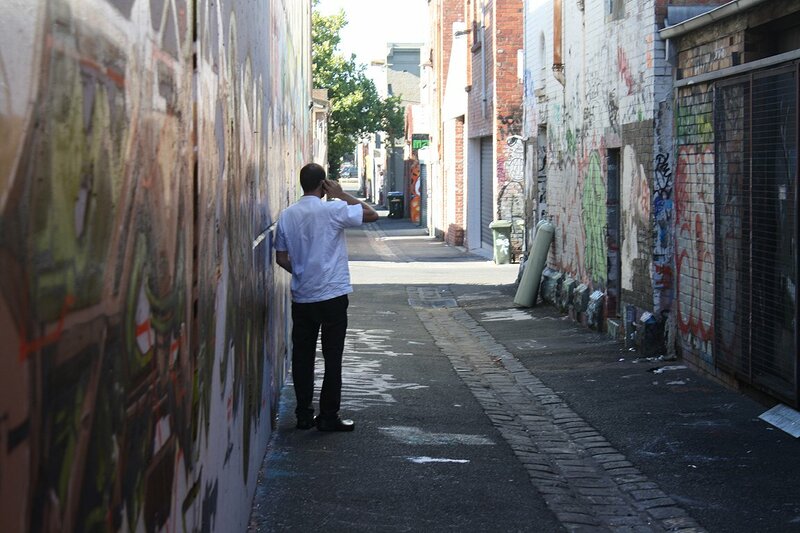 Such is the scale of artwork and constant change through Fitzroy, Urban Melbourne just might need a repeat tour in the near future. 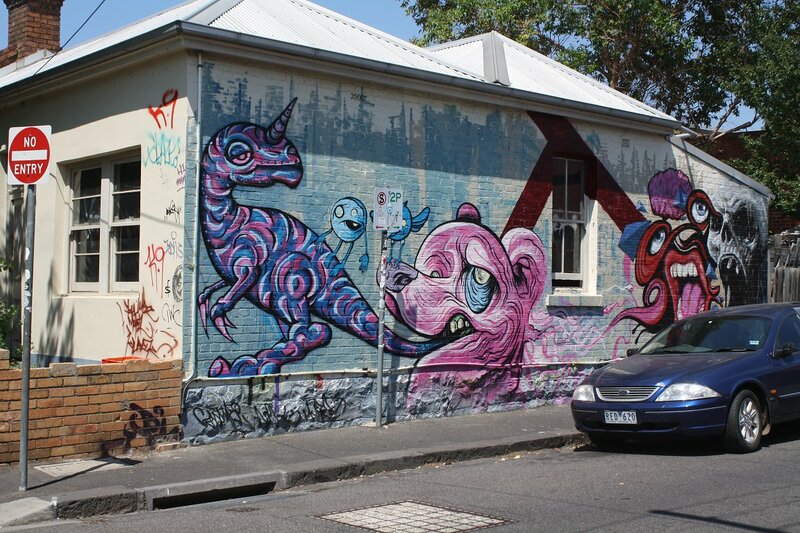 For the time being though, expand and enjoy the images. 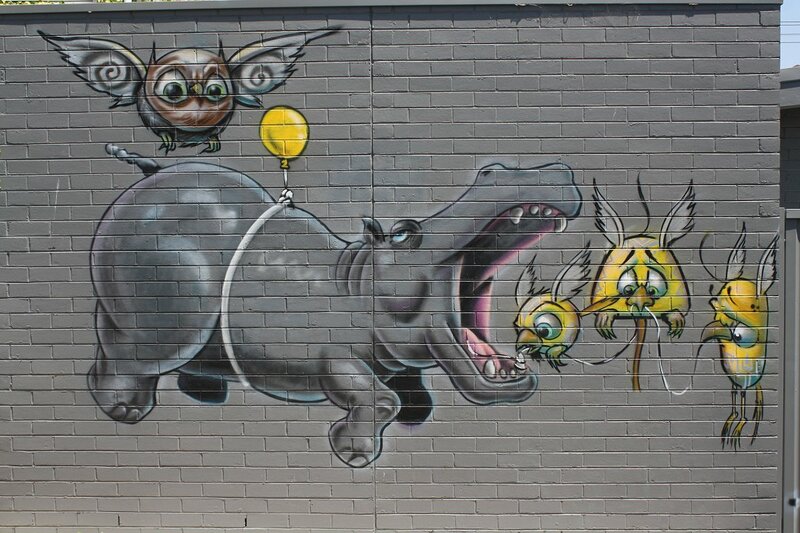 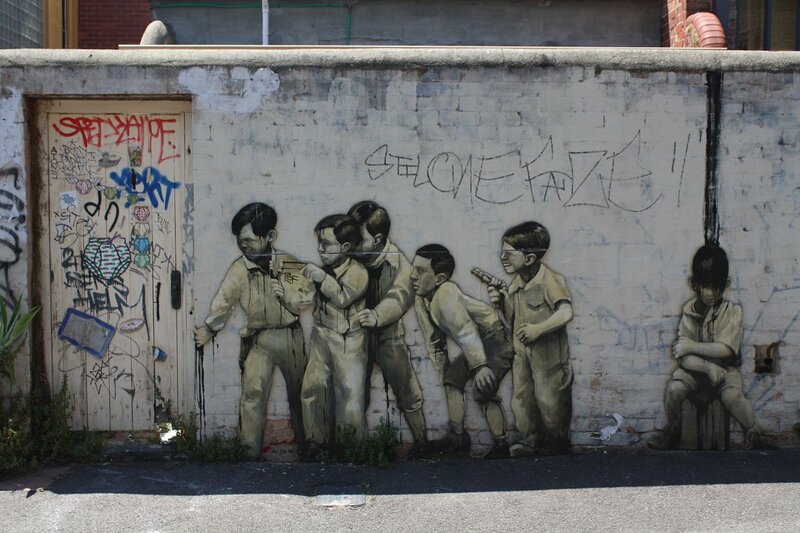 Some of the best street art I've ever seen.